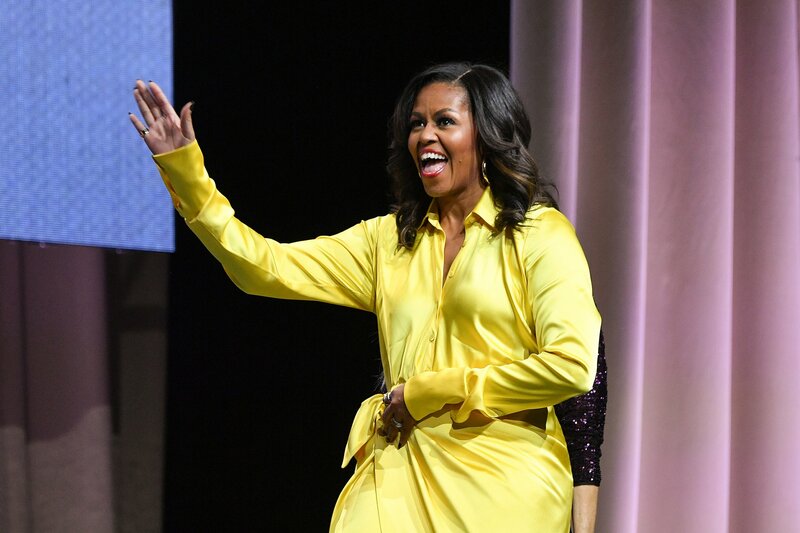 Former first lady Michelle Obama said she would not run for president because she is “not interested in politics” and can no longer lead a normal life, which distances her from the experiences of everyday Americans. Obama, 55, was first lady from 2009 to 2017 when her husband Barack Obama was president. A popular figure among Democrats, she is often touted by fans and pundits as a potential presidential candidate in the future. But Obama has ruled herself out of seeking office. In an interview on Conan O’Brien’s podcast, the comedian asked Obama about a moment in her latest book, Becoming, in which she describes enjoying some time alone in her car eating Chipotle before her husband became president, something she is no longer able to do. “What Barack and I talk about that we do miss…is the loss of anonymity,” Obama said. “And that’s something that most people don’t understand how valuable anonymity is. Being able to blend into your environment, and not be the center of it, but just to observe it… And because I love people so much, I love casual conversations with people. “While I loved my time in the car alone with Chipotle, I love what you learn standing in a grocery store line and overhearing someone’s conversation. You know, watching their interactions with their loved one. Not being the watchee, but watching, and taking that in and understanding life and the observations that come. “I don’t live a normal life. I used to. Normal is very baked into me because of how I was raised, but I also know the life I’ve lived for the last 10 years is no longer normal,” Obama said. “And so I don’t know as much as I would want to, to be in a position of leadership, to kind of know what are you feeling? Because you can’t experience life behind a tinted window in a car. “So we sacrificed that, and that’s not a complaint, but if I’m going to be a leader I’ve got to be in there. I’ve got to be able to be in there overhearing people’s truths, and really being able to see their pain without it being filtered through the veil of me. O’Brien also asked Obama, who now campaigns to raise the aspirations and achievement of children, and also greater voter turnout in elections, if she would be active in the 2020 cycle. “What I have said, because I’m not interested in politics, and I have said this before, is that sadly in our country when you put an R or D on you, you immediately alienate most of the country with whatever choice you make,” Obama said. “We’re in those times right now. And my goal is that I want to be able to reach as many people as possible. I don’t want people to stop listening or to take what I say differently if it’s the truth just because I’m a D. Because there are a lot of Rs out there that I love and respect and if I know something, I want Republicans’ kids to know about college.